For any other use, see Argus (disambiguation). 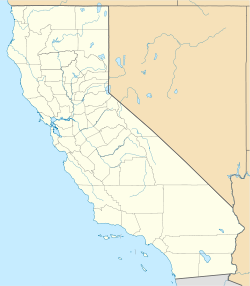 Argus is an unincorporated community in the Searles Valley of the Mojave Desert, in northwestern San Bernardino County, California. Argus is 17 miles (27 km) east-northeast of Ridgecrest. Argus and the communities of Pioneer Point, Trona, and Searles Valley (community) make up the Searles Valley census-designated place. ^ a b "Argus". Geographic Names Information System. United States Geological Survey. Retrieved May 11, 2015.